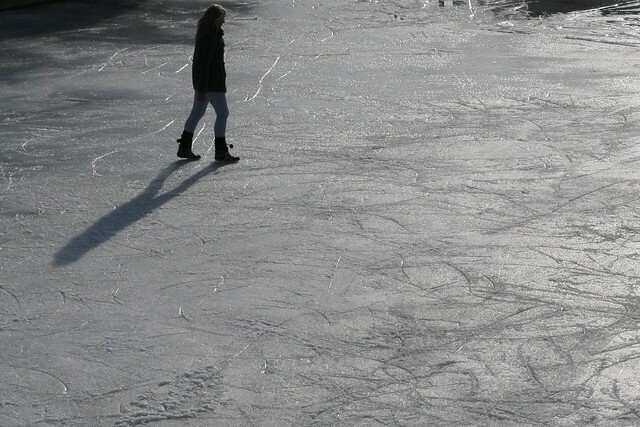 Every year an ice-skating rink is set up just below the King Christian X bridge in Sonderborg. Last year we didn’t get round to trying it out. 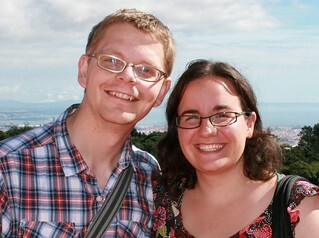 However, when Sunday turned out to be a crisp and bright day we decided to drop by and check it out. We arrived around 12:45 and it was already bustling with people. I was a bit concerned! Coming from an island with no snow, my skating skills are close to non-existent. Also, although I have been ice-skating twice in my life, both times were in indoor skating rinks that had a railing I could hold on to as a scooted around the perimeter. 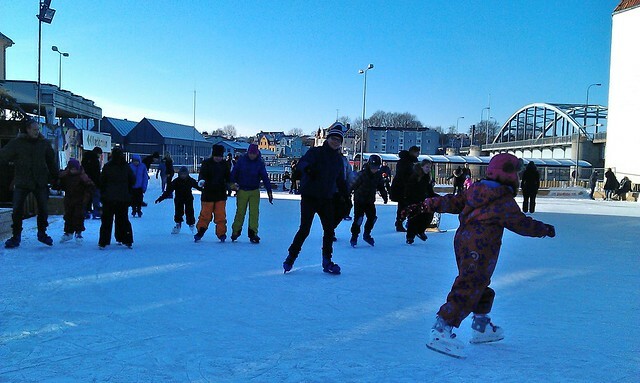 In Sonderborg the rink is surrounded with a low wooden bench on which parents typically sit and watch their kids. I was concerned! But now that we were there I had to try it out. We got our skates (25 DKK, cash only, need to leave some sort of ID; if you have your own skates you can skate for free) and went to start skating. I was terrible, to say the least! I was so pathetic that a young kid, maybe 6, came and offered me his penguin, and I took it! 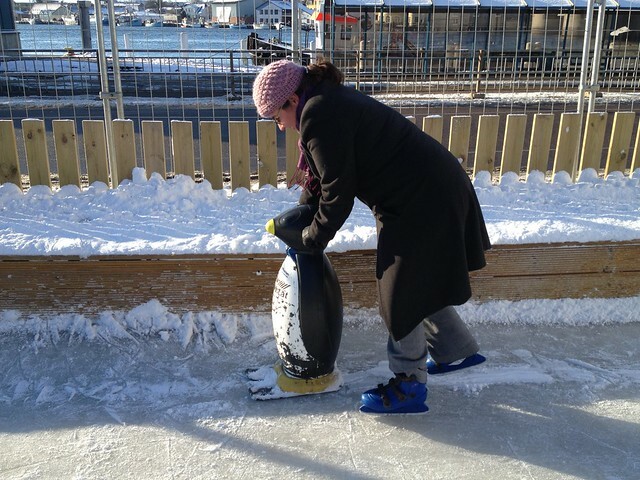 With the help of my new penguin friend I managed to make it round the rink. Go me! Leaving the penguin back with the kid I was, however, stranded again. Luckily I could be rescued by Michael who let me hold on to him as we moved around. The fact that the rink is sloping downhill at one point doesn’t help though! So we were two adults scrambling around amongst kids wooshing elegantly. Not the most graceful view, but we did it! We treated ourselves to a hot chocolate with rum at the kiosk there (30 DKK – 12 DKK without rum) and decided to call it a day as the rink starting getting busier and busier. After all, I didn’t want to squash any little kid as I plonked myself down onto the ice! This entry was posted in General, Things To Do and Sights and tagged ice-skating, penguin by Ann. Bookmark the permalink. Hey Ann, Its amazing to see and read about your experience. The penguin part is pretty awesome 🙂 Go you !! Hope you and Michael are doing good. I miss Sonderborg many a times. You should start writing blogs in Danish as well. I think writing in Danish is a bit beyond me as yet. I rather write in English and keep my Danish scribblings to myself. 🙂 Copenhagen is good, and it gets cold from time to time. Most of the time is spent at school, so sometimes I dont even notice the weather 🙂 Will for sure come to Sonderborg again some day.